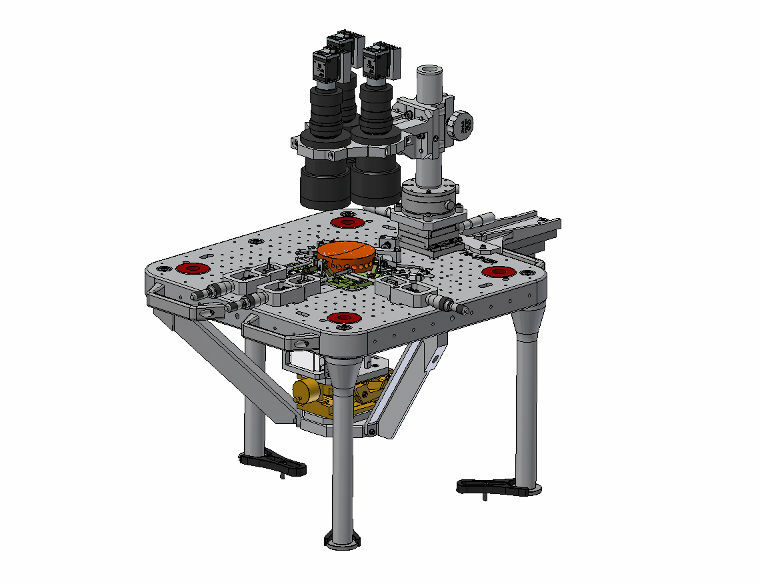 Airworks has successfully passed the acceptance tests with the EnMAP Telescope Assembly Precision Installation Tool (TA-PIT). 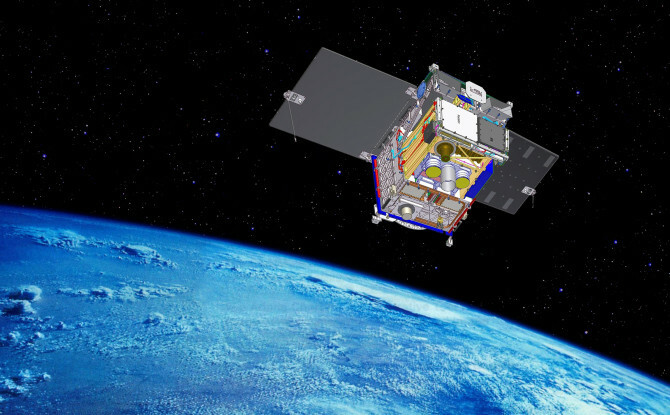 The Environmental Mapping and Analysis Program (EnMAP) is a German hyperspectral satellite mission that aims at monitoring and characterising the Earth’s environment on a global scale. OHB System is EnMAP prime contractor to DLR, with funding from the German Ministry of Education and Reasearch (Bundesministerium für Bildung und Forschung) under reference number 50 EP 0801. 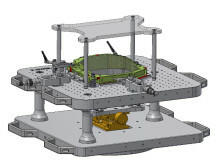 Under the orders performed for OHB System, Airworks supported the design and was responsible for manufacturing of the TA-PIT, a very accurate positioning mechanism with 11 degrees of freedom that will install mirrors into the EnMAP Telescope. 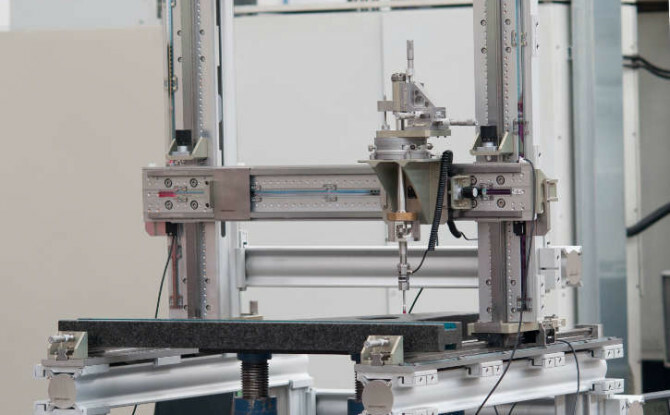 During tests the TA-PIT has demonstrated an accuracy four times better than the contractual requirement for the pre-positioning of the mirror holder (orthogonality error over 500 mm travel ≤ 5 µm ). All the measurements were performed with the encoders (accuracy 1 µm) and the probe that equip the machine. The TA-PIT, which is fully compatible with ISO5 cleanliness grade, provides remarkable flexibility during the telescope assembly as, at any moment, the installation of the mirrors can seamlessly switch from controlled mode to fully manual. The commissioning of the TA-PIT at OHB is planned for the next weeks. 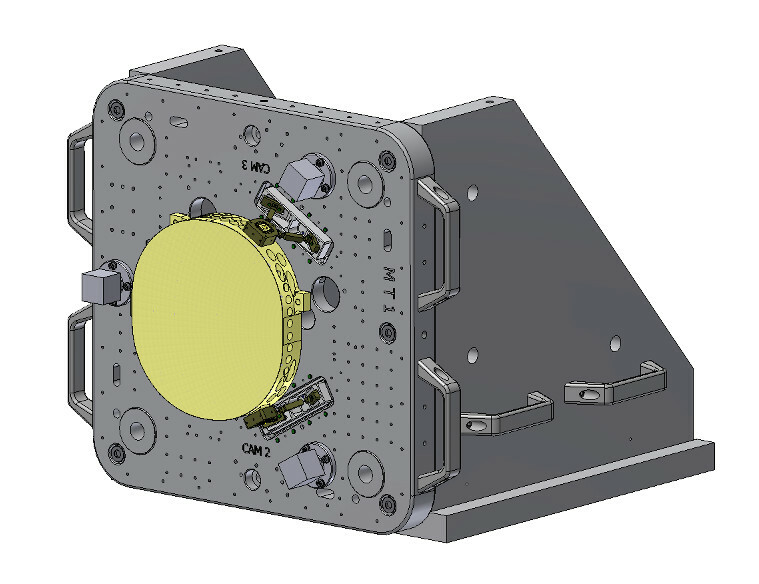 After installation Airworks will be also responsible for providing specific training to the OHB integration team working on EnMAP telescope.